Implants are the best alternative to bridgework when it comes to close tooth gaps. 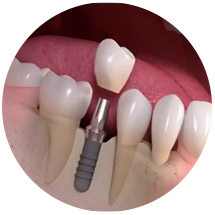 Implants prevent the need of grinding down teeth to be able to hold bridgework. In case of good maintenance, implants are a lifetime solution. All on 4 is the most modern technique to restore full arches with implants. Low cost in combination with low invasivity makes this kind of restoration to the treatment of choice for most full mouth implantations. 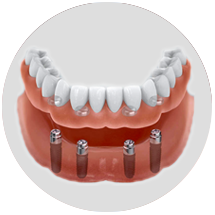 Implant supported dentures are a good alternative to common dentures. In some cases, it is impossible to achieve a good denture stability with full dentures. In such cases, even diameter reduced implants can help prevent the dentures to shift. Zirconia is a very biocompatible material, proven for almost 2 decades as crown and bridge material. 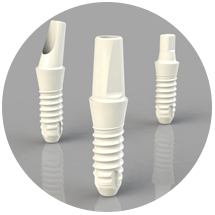 Several years now this material is used also in implant dentistry, persuading due to its outstanding properties when it comes to soft tissue and plaque. The implant surgeon not always have sufficient hard tissue to be able to place implant. In such conditions, bone augmentation either horizontal and/or vertical are needed. Tooth & Go provide the most modern techniques such as the Bone Lamina double membrane technique or the box type augmentation/Khoury technique. 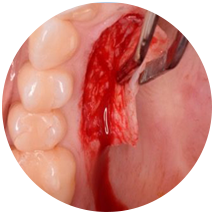 Sinus lift augmentation procedures are needed in case bone is lacking in the maxillary molar region. 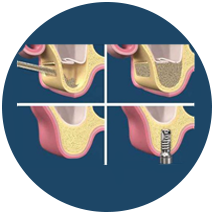 Sinus lift is the most predictable bone augmentation in implant dentistry with a healing period from 3-8 months. Implants are the best alternative to bridgework when it comes to close tooth gaps. 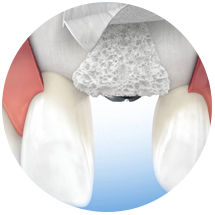 Implants prevent the need of grinding down teeth to be able to hold bridgework. In case of good maintenance implants are a lifetimesolution. All on 4 is the most modern technique to restore full arches with implants. Low cost in combination with low invasivity makes this kind of restoration to the treatment pf choice for most full mouth implantations. 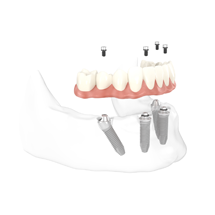 Implantsupported dentures are a good alternative to common dentures. In some cases it is impossible to achieve a good denture stability with full dentures, in such cases even diameter reduced implants can help preventing the dentures to shift. Zirconia is a very biocompatible material, proven for almost 2 decades as crown and bridgematerial. Several years now this material is used also in implantdentistry, persuading due to its outstanding properties when it comes to soft tissue and plaque. The implantsurgeon not always have sufficient hard tissue to be able to place implant. In such conditions, bone augmentation either horizontal and/or vertical are needed. Tooth & Go provides the most modern technqiues such as the Bone Lamina double membrane technique or the box type augmentation/Khoury technique. Sinus lift augmentation procedures are needed in case bone is lacking in the maxillary molar region. Sinus lift is the most predictable bone augmentation in implant dentistry with a healingperiod from 3-8 months. Tissue is the issue". Soft tissue is of major importance in longtime implant survival. The wrong contours or gingival (gum) type of soft tissue surrounding the “neck” of the implant, may allow bacterial contamination of the threads and eventual failure of the implant.